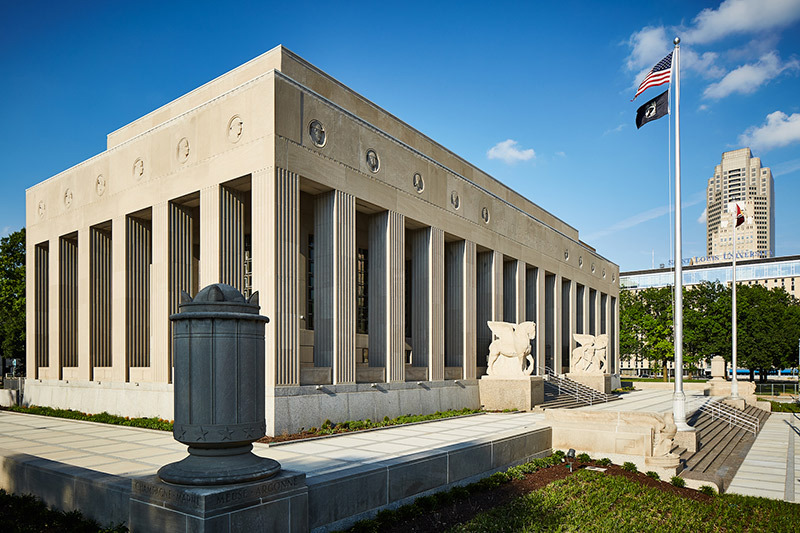 Wiegmann Associates has completed work on a museum-quality HVAC system as part of the Missouri Historical Society’s $30 million historic revitalization of the Soldiers Memorial Military Museum in downtown St. Louis. Renovation of the art deco memorial museum, opened in 1938 to honor local soldiers who died in World War I, is scheduled to reopen November 3, 2018. KAI is the mechanical engineer of record and BSI Constructors is the general contractor. Wiegmann Associates was the installing mechanical contractor for the HVAC and Delta controls system, providing design/assist services to KAI to reduce equipment costs and develop an energy-efficient system that improves visitor comfort and protects historical exhibits. The museum’s lower level was refurbished as galleries, more than doubling the exhibition space, and the second floor was renovated as office, assembly and meeting rooms. The HVAC system was designed to maintain strict humidity levels, to preserve artifacts in the galleries while maintaining comfort for visitors. President Franklin D. Roosevelt dedicated the memorial site in 1936 and the art deco museum opened in 1938. In 2015, the City of St. Louis entered into an agreement with the Missouri Historical Society, which also operates the Missouri History Museum in Forest Park, to assume operations of the historic landmark and oversee the substantial renovation and site reconstruction. Soldiers Memorial Military Museum, located in downtown St. Louis, is operated by the Missouri Historical Society. 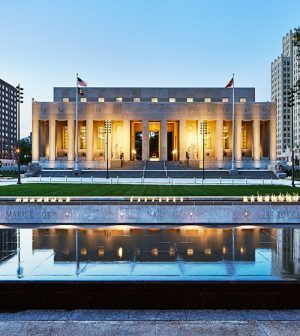 Following a $30 million revitalization, Soldiers Memorial reopens Nov. 3, 2018 as a state-of-the-art museum that honors military service members, veterans, and their families. Exhibits offer a comprehensive look at American military history through the lens of St. Louis. Soldiers Memorial offers programs and outreach services including special exhibits; tours; theatrical and musical presentations; programs for school classes and youth groups; special events; workshops; and lectures. The revitalization of Soldiers Memorial was paid for by anonymous donors to the Missouri Historical Society. Learn more: mohistory.org/memorial.